Wow! I am such a copy cat....I can't believe how many awesome ideas I am finding on other teacher's blogs! 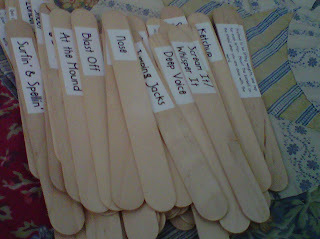 I found this little spelling/transition activity on another blog and look what I did today! I have so many things that I need to print/laminate and cut it's insane! I still need to figure out how to use Google docs and all the other fun things that everyone is doing but in the mean time I am having so much fun exploring and putting together my plans for next year! !